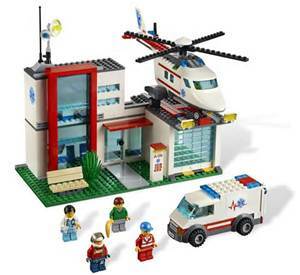 Technically a hospital is just bricks and mortar or in the case of the picture above, legos but a hospital is much more. I chose this picture for a reason. I wanted to illustrate that a hospital is much more than what it’s made of. A hospital is a place that saves lives and makes lives better and when a hospital closes the grim reality is people die. There have been over 50 hospital closures in the United States in the past year, one less than 25 miles away from Clinton. When hospitals close, especially rural hospitals, access to timely care is difficult. When a person is critically ill seconds matter and minutes can be the difference between life and death. When a rural hospital closes access to emergency care can be miles and hours away. There are many reasons rural hospitals have been forced to close and I won’t provide an exhaustive list but I will provide a little insight. Hospital margins are shrinking and rural populations are shrinking as well. All hospitals have a mission to provide care but like any business there is a critical mass of volume that must be achieved. When population dips and the number of people served by hospital falls below a certain point the ability to maintain a margin becomes difficult and a hospital must become very efficient at what they do to have any hope to survive. Limiting services and modifying scope of care become a necessity. Many rural cities don’t have a lot of jobs that provide health care benefits so patients are forced to purchase their own health insurance, accept federal aid or roll the dice and go without coverage of any kind. The lack of commercial insurance in a rural community further stresses rural hospitals because the margin provided by Medicare and Medicaid is slim and charity care, no pay, increases when patients don’t have coverage and can’t afford to purchase it on their own. For those who choose not to have coverage even the most minor emergency can lead to medical bankruptcy and lack of coverage also causes people to delay care. When care is delayed, especially preventive care, a minor problem can become chronic. The cost to treat a chronic problem increases substantially when it’s not being managed properly. Law makers in Missouri have said no to Medicaid Expansion. Expanding Medicaid in the state would provide health care coverage to over 300,000 Missourians, many of which live in rural areas. Having coverage would allow people in rural areas to receive more preventive care and reduce health care spending over time. The coverage would also mean less charity care provided by hospitals and would assist rural hospitals in keeping the doors open. Keeping rural hospitals open keeps people alive and improves the health of our state. A hospital is much more than a building, a hospital is a symbol of hope. This entry was posted in Uncategorized and tagged Health Care, Medicaid Expansion. Expanding Medicaid, rural hospitals. Bookmark the permalink.